Please call / text 07745 406 600 to book or email me via the contact page on this site. Click here to watch a bigger video. Drayton Centre, 238 Havant Road,PO6 2AP (next to Coffee Lounge). Workouts to the following dance styles, Cumbia, Salsa, Merengue, Samba, Mambo, Hip hop, Bollywood, Cha cha cha, Reggaeton, Belly dance and Tango. Toning Sticks (optional). 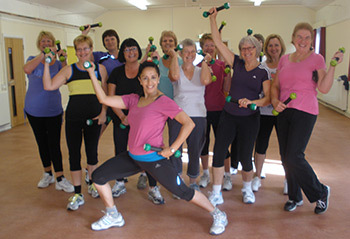 (6 Zumba classes £36.00, run term times) A new client can trial a class at any point. Classes run term time (Over Summer July/August months a skeleton mixed ability Zumba class Mondays may run). No classes run (Bank Holiday Mondays). To check what dates Zumba classes are running including Pilates & Tai Chi please click course & information (tab top of page).